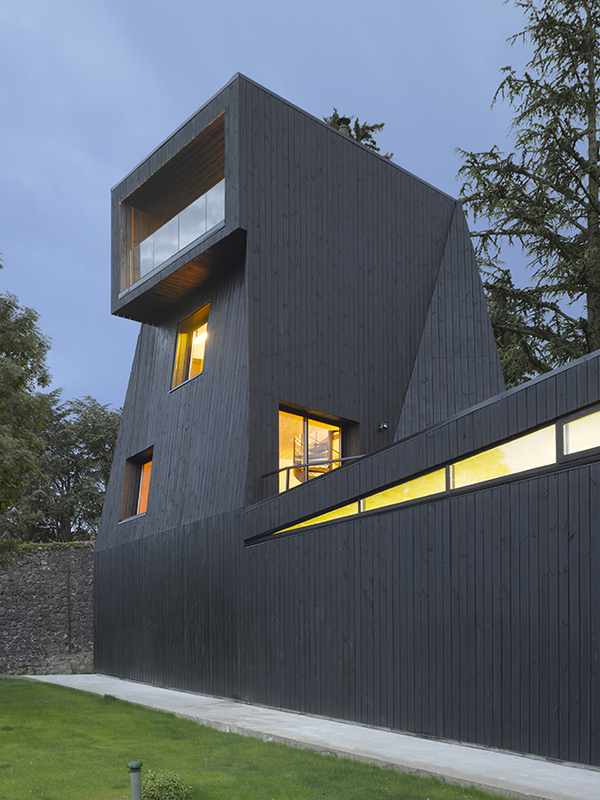 The Residence St-Ange was designed by the Studio Odile Decq after a competition won in 2011. 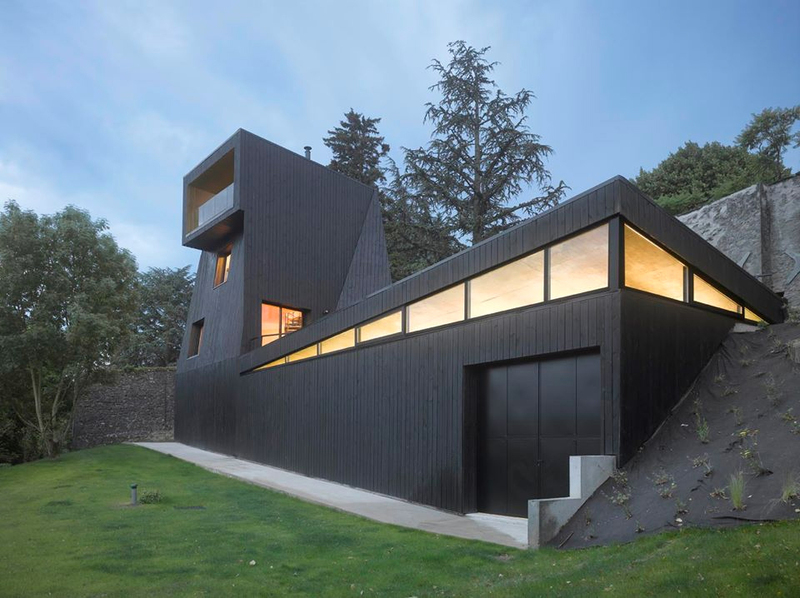 Inaugurated in June 2015, the Residence has since met an international sucess and recongnation in the architectural field and the specialized press. 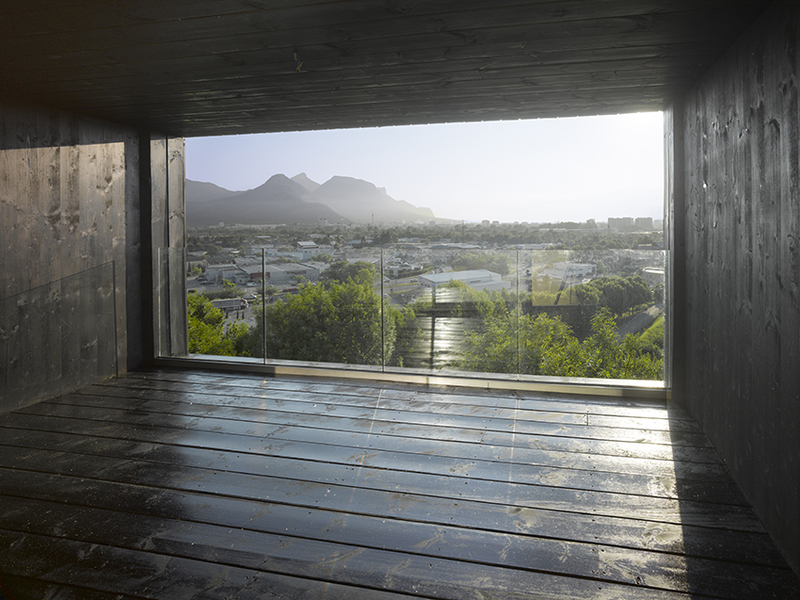 It has been listed for several awards and has received in October 2015 the Blueprint Award 2015 (UK) for the Best non public Residential Project. Photography: © Roland Halbe. 2015. 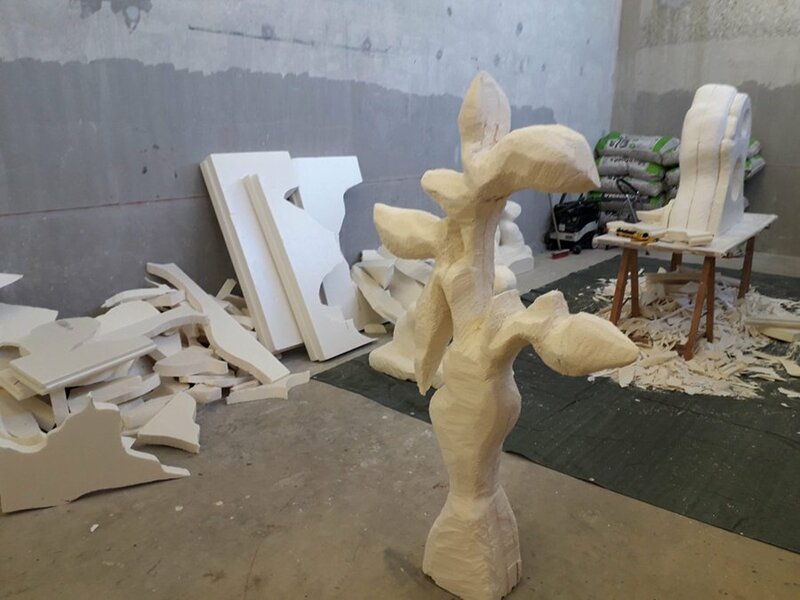 “The placement of the Saint-Ange Residency, on the lower side of the plateau of Tour Saint-Ange’s park, beyond the vegetable garden, under the trees and on the slope leading toward the Grenoble’s golf course – was definitively a challenge. 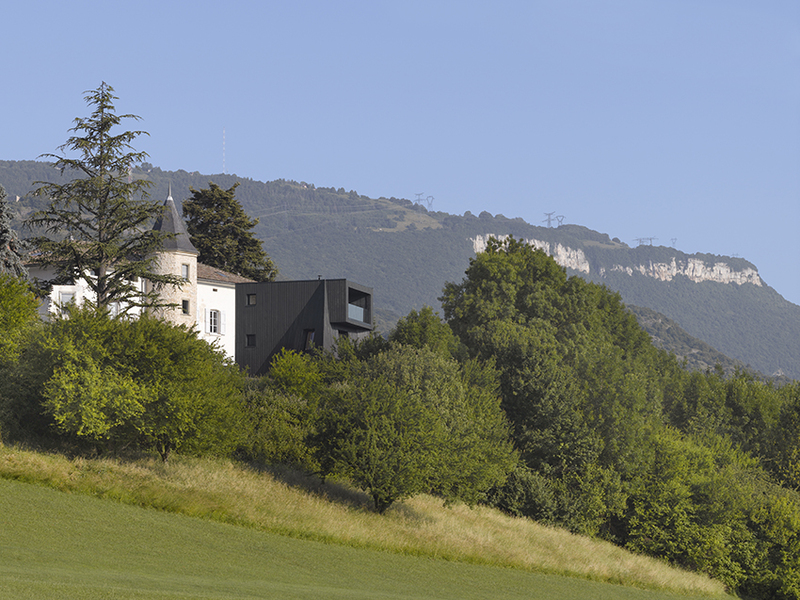 The site is beautiful for its unobstructed view on Grenoble’s valley, but difficult for its hard and narrow slope. This is why, when discovering the site, and despite all the difficulties, creating a view overlooking the entire valley became the dominant idea. 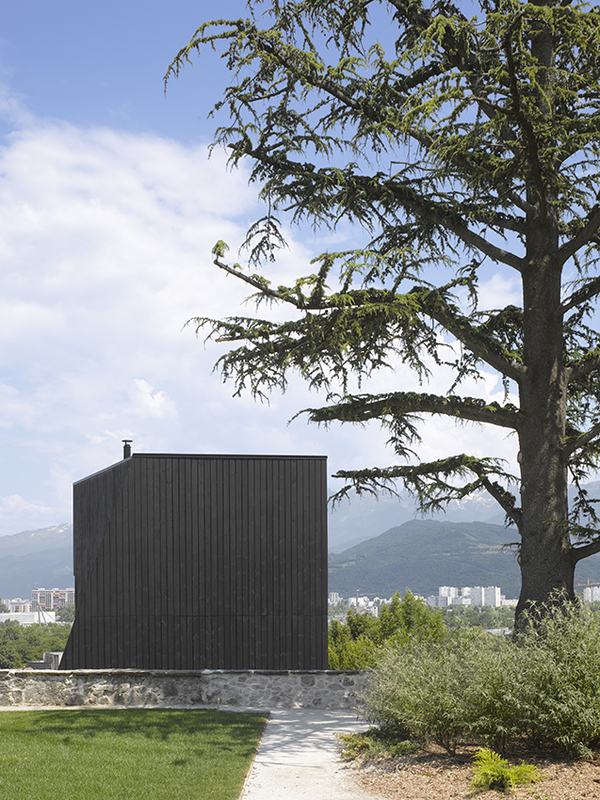 A belvedere became the evident solution: to see as much of the valley as possible by going above the trees, but without ever having a reverse view in order to protect the intimacy of the Tour Saint-Ange and its park. The studio was therefore thought of as a kind of tower on 3 different levels that twist to reach the view beyond the valley. 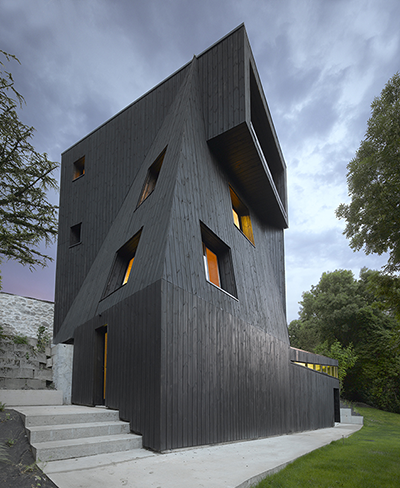 This is monolithic architecture, a silent piece of art, made entirely from wood, with a natural finish on the inside and a black asphalt finish on the outside. 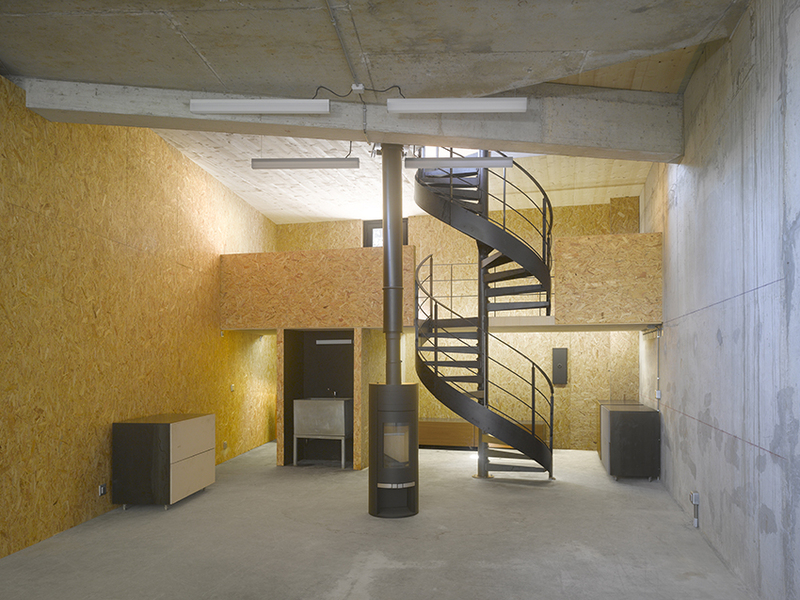 During the daytime, multiple openings on the facade allow the light to pour into the living rooms, the studio and the two levels above – from 3 different directions (except from the north side facing the Tour Saint-Ange). 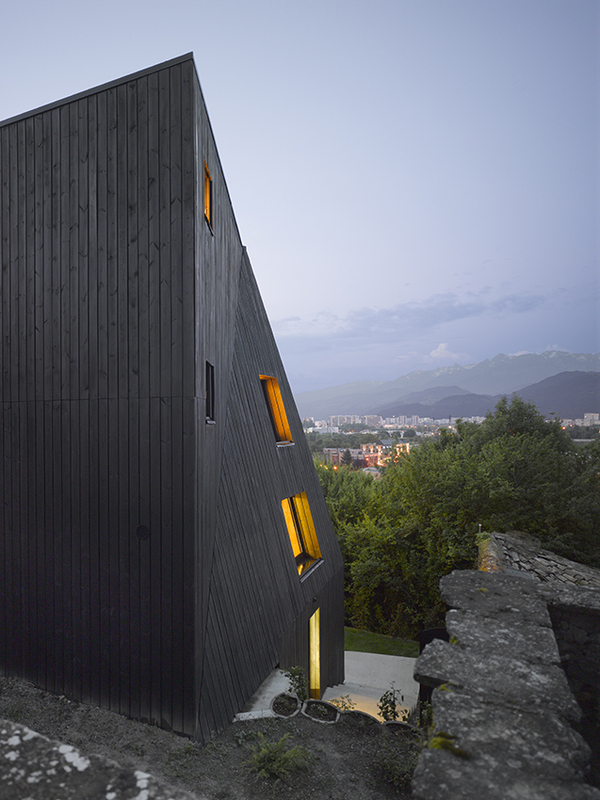 At night, the wood blinds treated with the exact same finish as the facade hide the windows and allow the monolith to become all black and quiet once again”. 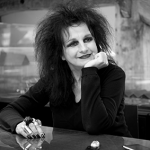 Odile Decq set up her own office in 1978. International renown came quickly with the Banque Populaire de l’Ouest in Rennes in 1990 and a Golden Lion in Venice in 1996. By questioning the commissioner, the establishment, the building materials, the body, the technique and the common taste, Odile decq’s architecture offers a paradoxical insight, tender as well as severe, on our contemporary world. Since 2000, Odile Decq has been faithful to her fighting attitude. 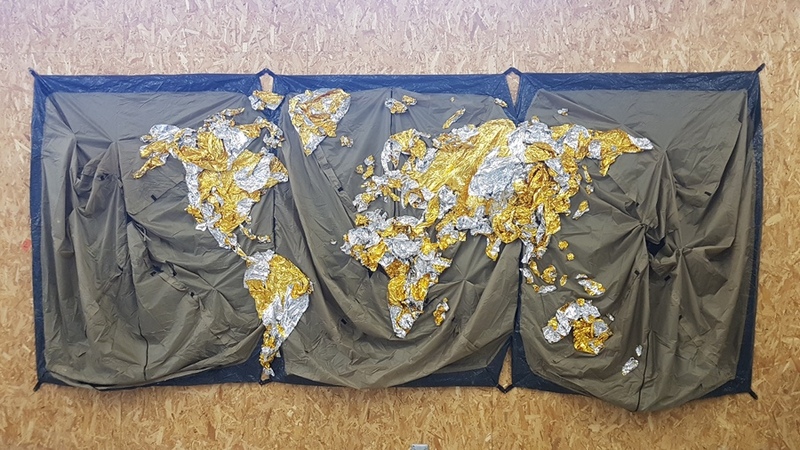 She completed the MACRO (Museum for Contemporary Art in Rome) in 2010, the Opera Garnier’s restaurant in Paris in 2011, the FRAC (Museum of Contemporary Art in Rennes) in 2012, the GL Events headquarters in Lyon in 2014 and has just completed the Tangshan Fangshan National Geopark, in Najing, China and a the CARGO, start-up incubator building in Paris of 16000 m2 in 2016.